Since the collapse of the Soviet Union the political history of Central and Eastern Europe has been mainly the story of arise, consolidation, transformation and struggles of new democratic regimes and societies. The handbook offers an instructive approach to that history focusing on the relevance of practices and institutions of direct democracy. It collects 20 political analyses of direct democracy in 20 Central and Eastern European countries after 1989. The aim of the book is the holistic and interdisciplinary political analysis of direct democracy in the Central and Eastern European countries after 1989. The case studies make diagnoses of the state of democratic processes in the regarding countries, and present and analyze institutions of direct democracy. In addition the book provides an analytical and comparative examination of the implementation processes of direct democratic practices and solutions at national and local level. 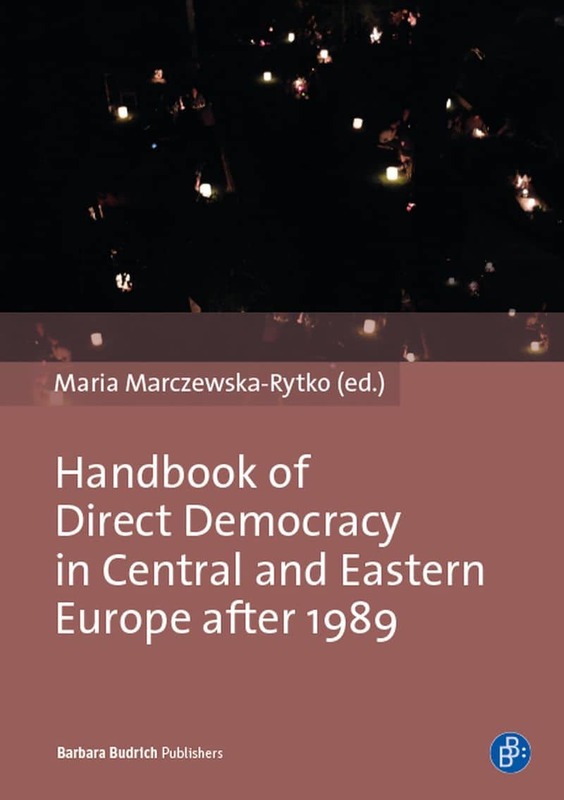 The collection of case studies shows the significance of direct democracy in the formal-legal and practical dimension of the Central and Eastern European countries and point at the use of direct democratic instruments as expression of political awareness of these societies. Thereby the studies emphasize the significant connection of the accession process to the European Union and the development of direct democracy in these countries.